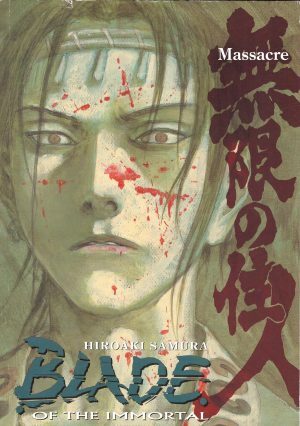 Demon Lair II is continuation of Hiroaki Samura’s intense action thriller sequence, and as if a vast cast with legitimate grievances against their oppressors trapped in tunnels underneath a castle wasn’t danger enough, Samura ups the ante. The tunnels are flooding. They lie at a level beneath the moat, and the explosions set by Rin to cover her tracks have resulted in the moat draining into the tunnels, and it’s a matter of time before they’re completely flooded. Can those trapped escape beforehand? 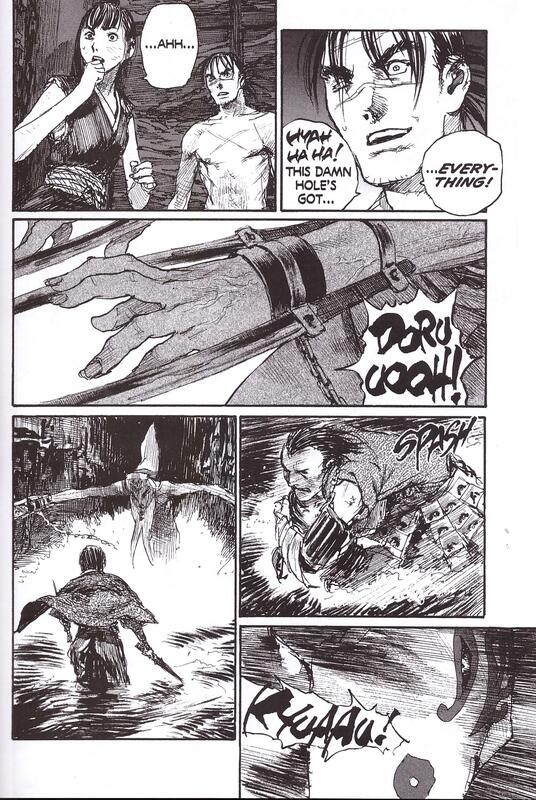 The sample page provides a great illustration of an astonished Manji as Samura introduces a further fantastic element. Manji thrives on chaos, and Samura thrives on tension, so the monsters are loosed and the chips fall where they may. Oh, and there’s the small matter of Manji remaining chained to the wall. Since beginning the Demon Lair sequence Samura has sustained an incredible pace to the action, and yet he still manages to increase the suspense via the fantastic deployment of horror movie techniques. 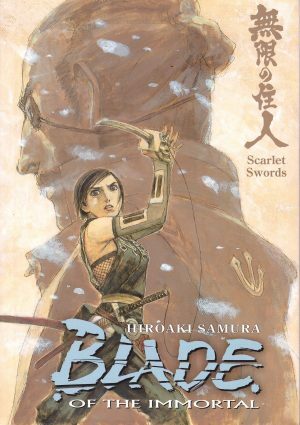 Every time it might be assumed he’s delivered the final shock, Samura tops it. The dungeons hold many secrets, and they’re all loose. He does very much pull the rabbit from the hat with the reintroduction of Renzo, not very well explained considering he was last seen several thousand pages previously in volume five’s On Silent Wings II. 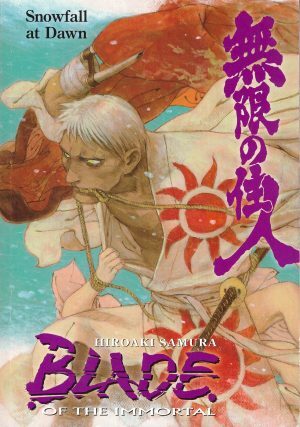 Those whose memory is lacking will forgive given Renzo’s greater purpose in future volumes, and that he facilitates the reintroduction of Blade of the Immortal’s greatest monster. 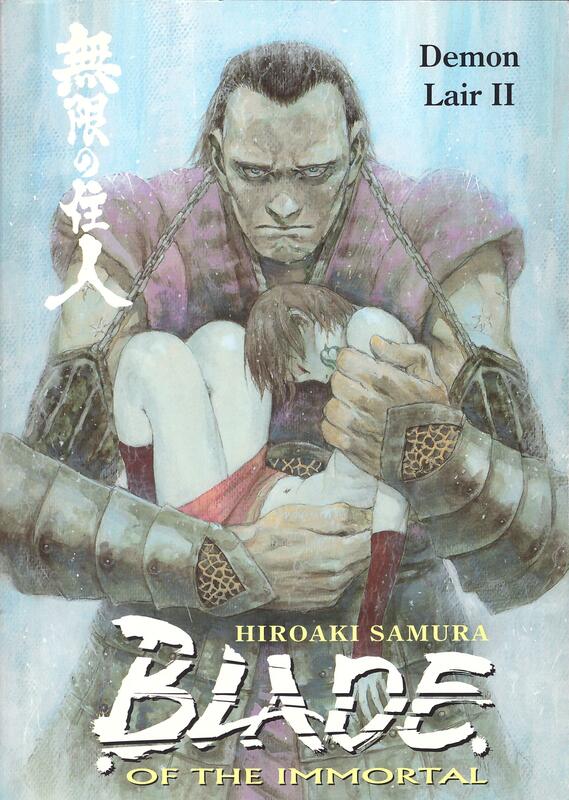 Demon Lair occurs almost exactly two-thirds of the way through Blade of the Immortal and is one incredible piece of fiction and one incredible piece of art. Yes, there are a couple of occasions where you can’t quite figure out exactly what’s happened from panel to panel, but that’s balanced against almost five hundred pages of superbly rendered action. This sequence is surely what Samura aspired to when he began the series, and he’s achieved it in some style. 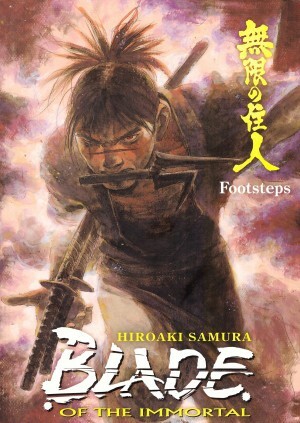 Samura supplies a humorous essay packed with falsehoods and speculation for the rear of the book, and continues the series with Footsteps.